Communities Secretary Rt Hon James Brokenshire MP has announced that nearly £500m will be spent building more than 11,000 much-needed affordable properties across the country. Homes England’s ambition is to build better homes faster. Government is also promoting the use of ‘Airspace’ above existing residential and commercial units for new homes. LABM garners opinion from across the sector. Announced at the London First Building Summit, the funding boost will help the Government towards its target of building 300,000 properties a year by the mid 2020s. The strategic partnerships, agreed by Homes England from Essex to Eccleston, will give the successful housing associations the freedom to spend the money on the developments where it can have the biggest impact. The housing associations to benefit from the funding — in the third wave of strategic partnerships — are: Bromford, Curo, Swan, Liverpool Mutual Homes, Torus, Longhurst, Nottingham Community Housing Association, Together, Walsall Housing Group, Yorkshire and Your Housing Group. Alongside the funding boost, homes will be built on London rooftops by the summer after Homes England agreed a £9m funding deal with Apex Airspace Developments. The properties — which will be built on five sites across the capital — are largely constructed off site before being winched on top of buildings, minimising disruption to residents. The first of the homes will be completed by the summer — and in total 78 rooftop homes will be built under the three-year deal. Government’s revised planning rulebook encourages authorities to promote the use of the airspace above existing residential and commercial premises for new homes. 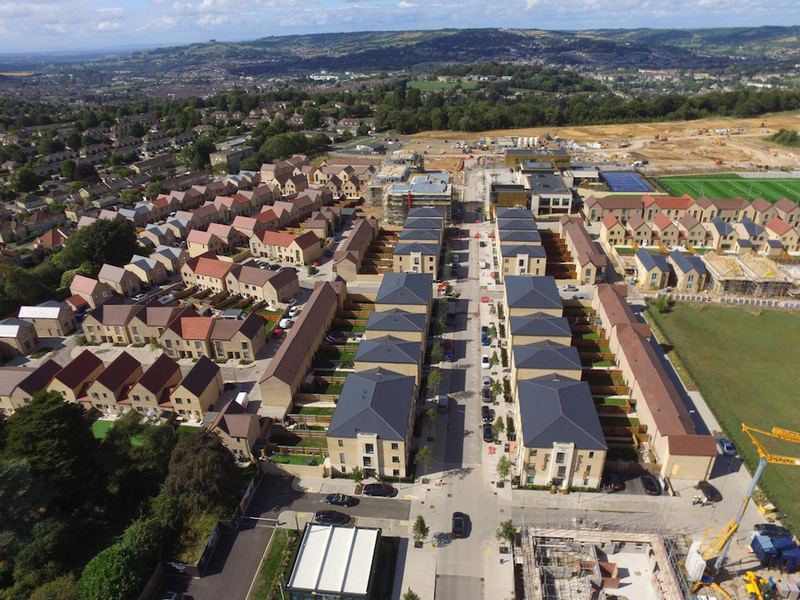 Apex is a pioneer of ’airspace’ development where unused airspace above residential, commercial and public buildings is used as a location for new homes. The funding will enable the offsite construction of the homes prior to transportation to each of the five sites. These will then be lifted on top of existing buildings with a crane – resulting in minimal disturbance to existing tenants and residents. The rooftop properties will be built in Tooting, Wanstead, Walthamstow, Putney and Wallington. 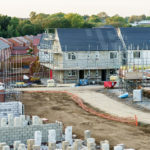 Commenting on the latest wave of strategic partnerships between housing associations and Homes England, Kate Henderson, Chief Executive of the National Housing Federation, said: “We are delighted to welcome this latest wave of strategic partnerships between housing associations and Homes England. They are a strong example of collaboration and represent an innovative approach to building new affordable homes. Most importantly, they will help ambitious housing associations to build more of the homes the country desperately needs. Victor da Cunha, Curo’s Chief Executive, commented: “Securing Strategic Partner status with Homes England is great news; we exist to provide affordable housing for local people and this additional funding will enable us to deliver hundreds of new homes over and above what’s already in our business plan. Bromford will receive an additional £66m to deliver 1,400 affordable homes across its Midlands and South-west operating area — which will be split between social rent, affordable rent and shared ownership tenures. Martyn Blackman, Bromford’s Executive Director of New Homes, said: “We are very excited to embark on what is a new, closer relationship with Homes England which takes another important step towards securing the long-term delivery of affordable housing right across England. The government has shown a real desire to work with ambitious housing providers and today’s announcement gives us all far greater long-term certainty allowing Bromford and others to further accelerate our land-led housebuilding programmes to deliver the homes our future customers need.